Current Page: Home > Tips&Tricks > How to convert MKV to MP4, DivX, XviD, H.264, MPEG4, MOV, WMV videos? How to convert MKV to MP4, DivX, XviD, H.264, MPEG4, MOV, WMV videos using MKV video converter? 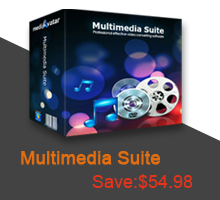 mediAvatar MKV Converter is especially designed to convert MKV videos to other video or audio formats, making MKV videos compatible with different media devices including iPod, iPhone, Apple TV, PSP, PS3, Zune, Xbox360 and other MP4 players. It's rather easy to convert MKV video formats with this MKV video converter: load MKV video files, select the output formats, and click "Convert"! However, there are many customization options available within these threee simple steps to help users customize the quality of the outputted video files. Below is the step by step guide of how to convert MKV videos. Drag and drop MKV videos you want onto the main program window, or click on "Add File(s)" button on the toolbar or "File > Add File(s)..." menu option to load the MKV video files you want to convert. Or click "File > Add Folder" menu option to choose a folder and load all the MKV files in this folder to this MKV converter. Click "Browse" button to choose the output folder for saving the outputted files. Click to open "Profile" drop-down list to set the output format for all the checked files, If you want, you can set different formats for different files. If you have multiple multimedia devices and want to make the files compatible with all these devices, then click "Add Output Profile" button on the toolbar to add as many output profiles as you want for the files you want to make them converted at one go, just as below. All the profiles are optimized in parameters by default, which means you can find the most appropriate profile without any extra settings. However, to satisfy different demands, this MKV video converter also comes with lots of adjustable parameters available for adjusting. 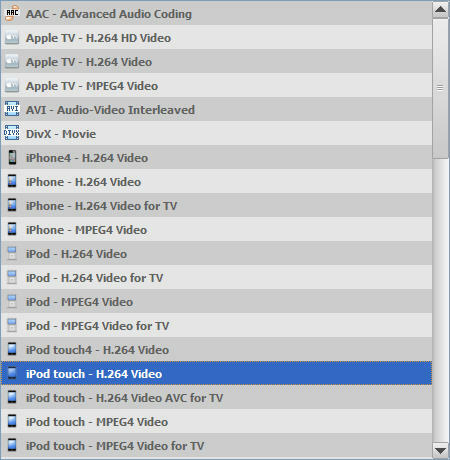 Click the down arrow on the right panel, choose "Basic Settings", "Video Codec", "Audio Codec", or "Metadata" option to go to their respective setting panel to adjust the parameters freely. Or click the right arrow to expand the "Advanced Profile Settings" window, from which you can adjust all the parameters freely as below. 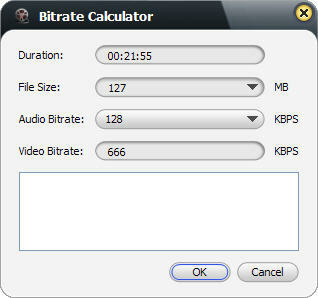 If you're not satisfied with the output file size, you can define it by yourself with the built-in bitrate calculator. Click "Bitrate Claculator" menu option to open the "Bitrate Claculator" dialog, enter the file size you want, then the corresponding video bit rate will be computed automcatically. Click "OK" to return to the main window, then the output file size you want will be displayed in the file list. To help facilitate away-from-keyboard conversions, this MKV converter has the ability to shutdown, stand by, or hibernate the computer or close itself automatically after conversions are finished. To make use of these options, look under the "Actions > Post Task Actions" drop-down menu. You can check the CPU usage below the file list. To make full use of your CPU or customize the CPU usage or conversion speed, go to "Preferences > Convert" tab by clicking "Preferences" button beside the CPU usage t to set the CPU core number for converting videos. 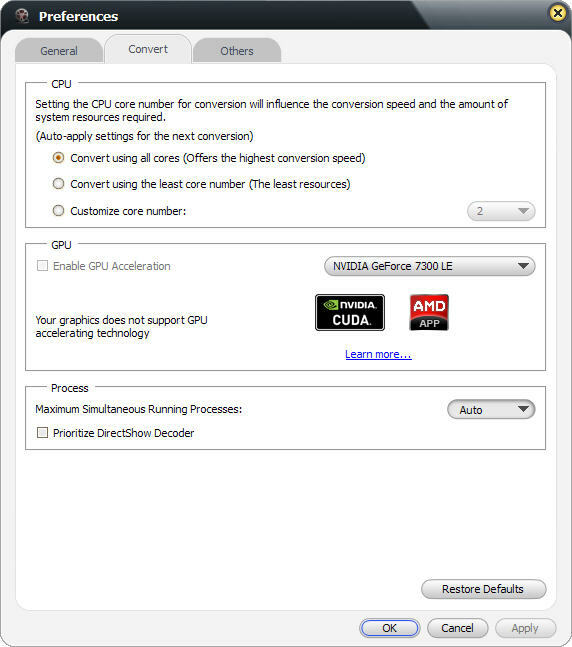 If you have GPU-enbaled CPU, the MKV converter will detect it automatically and the "Enable GPU Acceleration" option is available for you to activate. In the "Preferences" window, you can also set the "System Power Management Options", "Maximum Simultaneous Running Processes", "Post Task Action" and other options. After the above settings, click "Convert" button on the toolbar to start converting MKV videos! Okay, that's all! 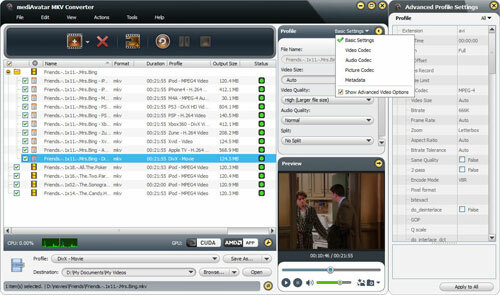 See, it's so easy to convert MKV video files with mediAvatar MKV Converter! Anyway, this MKV video converter has more editing options. Go to the product tour of this MKV converter to explore more features!